Reps. Dwight Evans (l) and Brian Fitzpatrick (r). 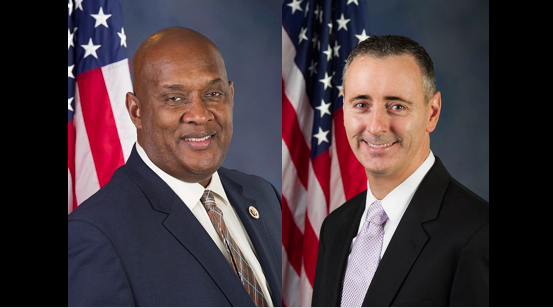 Congressmen Dwight Evans (D-PA) and Brian Fitzpatrick (R-PA) released a joint statement urging their Capitol Hill colleagues to put aside political differences and show solidarity in the wake of the Wednesday’s shooting in Alexandria, Virginia. “We are shocked and saddened by this morning’s senseless act of violence against our congressional colleagues, staffers and Capitol Police,” reads the statement. “At times like this, Americans must know that regardless of party affiliation or political ideology, we stand united in love of country and commitment to service. “We are thankful that tomorrow’s Congressional Baseball Game will be played despite today’s events, and believe it can serve as a spotlight on this unity. We are urging our colleagues to join us in attending and sitting with a member from the other side of the aisle. Likewise, we encourage the president to attend. Democrat Dwight Evans, first elected to office in 1980, represents Pennsylvania’s 2nd congressional district (a section of Philadelphia) in the United States House of Representatives. Republican Brian K. Fitzpatrick is the U.S. Representative for Pennsylvania’s 8th congressional district, which includes New Hope, Solebury and other portions of Bucks and Montgomery counties.